The cover of your book. Well, you’d think that’s a big thing, right? So you should probably put a lot of work into it as well! Just as much thought as your epic story, I reckon. That does mean however that there are going to be a lot of things to take into account if you want readers to crack open the cover. Who should create your book cover? If you’re self-publishing for profit, such as on Amazon or another hosting site, it might be worth your while to hire a graphic designer to make your cover for you. On the other hand, if you don’t have someone to make you a cover, it looks like it’s up to you. And that’s actually the main reason for this blog post: to make sure you have a good cover so that you get reads! I personally make all of mine, although my boyfriend did once make one for me. So that’s something to take into account. Perhaps you, like me, have someone around you who is willing to make a cover for you for free, as I’ve already mentioned, although they might want to be “paid” in a cup of coffee or a dedication in your story. Just ask them nicely and politely, and state exactly what you want! I’m going to use a real life example here: mine. 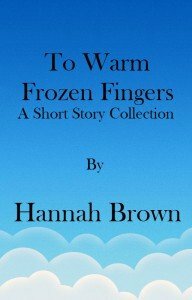 I am writing a short story collection on Wattpad. In the time I’ve been writing it, I’ve had two covers, although I designed three. The first was designed over a picture with free licensing. (Note, if you’re planning on using a photo for your own uses, check it’s licensing on wherever you get it from. Try typing in “Free photos” onto Google or another search engine, or try Flickr and set the licensing to “creative commons” before you pick a photo. You could get sued for stealing!) I used cursive text and vignette filters as well as black font, and wrote “A Short Story Collection” in blue underneath it. Looking back on it now, there’s just too much going on in the cover, even though it sounds pretty basic on paper. So when you make your cover, make sure you don’t have too much going on on your canvas. You don’t want your potential reader to be overwhelmed by it and immediately move past your story. Also, dark covers are a bad idea on a website because people won’t stick around to look at it properly. The second cover I made using a blue computerized cloud design. I wrote the same title in black colouring and Sans design text. It’s not a particularly bad design, but to me it looked too computer generated, like I’d just typed in a title and the program came out with this random cover. It was also written in black text, which I thought took away from the jolly winter feel of “come and read my book!” that I was trying to go for. The third and final cover I made is my favourite one, and it uses the same background as the second cover but is written in white and has a jollier-type of text. I also used two different text types–one for the name of the book and one for then name of the author. I felt that this one gave a happier feel, and it also enticed readers. 1) Make sure you know the feel of the cover you’re trying to create before you do it. Are you trying to make it moody? Happy? Is it a YA contemporary, or an adult historical fiction? Aim high and get what you want! 2) If you don’t like a cover, change it! It’s not impossible, and, yes, it means more work but hey, it is your writing! 3) Make your cover accessible. Don’t overcrowd your canvas or make it too dark or light so people can’t read the text . This post might make you think, “Why is she writing all of this? Won’t people read my story for the words inside?” Well, yes, they should, but people do judge books on their covers. 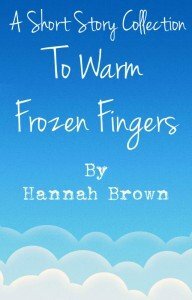 After I changed my Wattpad cover, my views and votes on the story almost doubled! Have fun making your covers, and if you want an opinion, why not send it to your friends or family. Even if they don’t write, they’re likely to be able to tell you which cover they prefer. And if you need any ideas, just head over to Wattpad or Amazon and browse the books. And if you want a free editing site like Photoshop, try Pixlr Editor. It’s more basic, but does the job well enough.